The endangered species of giant clams (Tridacna gigas) were formerly abundant on the coral reefs and Johor coastal islands. 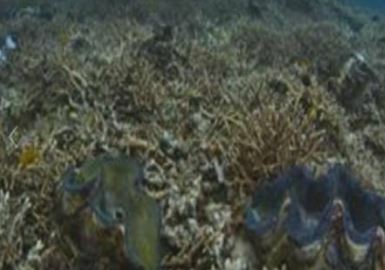 The first phase of the Giant Clam project (1998-2001) resulted public awareness and research findings in reproduction and conservations been carried out. While phase two of the programme (2008-2012) resulted 400 seedlings of Tridacna gigas released in Aur Island. Monitoring and evaluation programmes has been carried out every three months to determine the success of the projects in terms of sustainable resources. After 6 years, the clams are now ready as broodstock. With this grants, it is a hope to be able to produce daughter generation of Giant Clam in Aur Island, Malaysia. 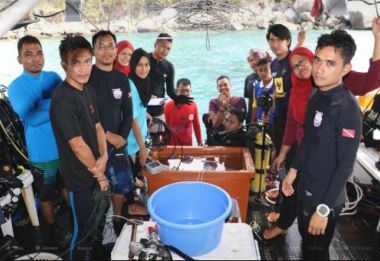 Such programmes will continue, in order to sensitize and inform the public to marine related issies and a platform to safeguarding the survival and continuity to conserve ou natural heritage, the giant clams. The main challenges for giant clam survival in Malaysia are climate variability, anthropogenic factors and leakage link among integrated MPA's stakeholders. Climate variability includes ocean acidification, rising temperature and many more. These may lead to softer, fragile shell and bleaching of symbiotic algae in giant clams. Anthropogenic factors includes massive land conversion and overharvesting will eliminating the chances for the gigas to survive. These megafauna need noble water parameter to sustain. Finally, this ecology conservation effort requires siginificant amount of fund and support from various stakeholders . Johor policy makers, industry player, Johorean, Aur's island people, researchers and enforcement agencies are bound to each other in mutually understanding and adapt to this the Gigas conservation practices programme. Johor, Malaysia as a state land owner would be better in conserve it apex bivalve species through partnership. Two blocks are interacting, first the cage design and second is strategic partnership. These would helping to build resilience into our coral reef systems, our natural systems, and simple engineering innovation that works. Part of what I wish to happen is to see the production of daughter generation of the restocked Giant Clam. The juveniles has become matured and ready to breed. It is now a matter of time, these two blocks need to happen first, then it will serves as a catalyst within the conservation community, institutions and individuals that will potray another chapter of other conservation solutions. Positive effects that have already been achieved, includes success effort in bringing back the Tridacna gigas population in Pulau Aur, Malaysia. Also, Pulau Aur, Malaysia where the project conservation took placed has been gazetted as research island in 2016. Therefore, number of tourist and all water activites were controlled rigidly to ensure minimal distruption to the conservation area. Through various awareness activites, level of awareness to the islanders were rising up. To educate them the importance of giant clam conservation. Conserving giant clams can bring more sustainable income than clams in the pot in long run. Tridacna gigas is a massive, colouful shell animal and the largest molluscs in the world. The size of its shell can reach up to one metre in length with a maximum weight up to 200 kg. In IUCN Red List, it is listed under Appendix II as vulnerable species. In Johor, USM and J-Biotech working together for this project . 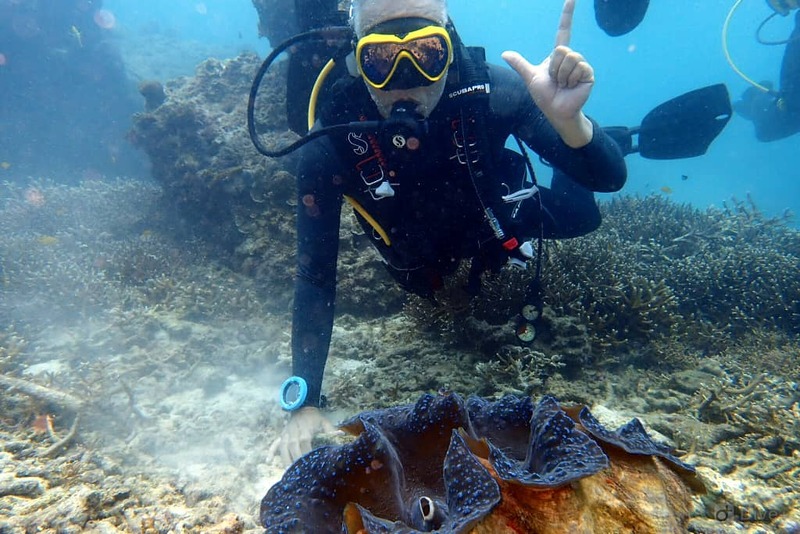 The conservation collaboration has began as early as in 1998, where basic information on distribution and abundance of giant clams studies has been conducted. 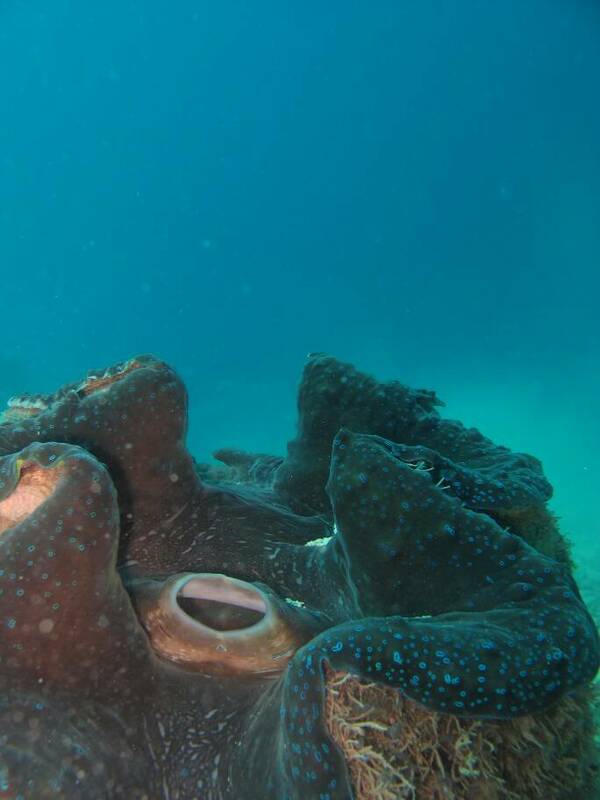 The purpose of giant clam restocking is to rebuild locally extinct populations. In 2012, a hatchery-produced Tridacna gigas from the Philippines have been restocked in Johor Islands. Due to small size of giant clams that are ranging from 5 to 10 cm, a first stage design comes up. A simple square cage with dimensions of 1m x 1m x 0.15m is made of PVC pipe, polyethylene net with mesh size of 1.5 cm. 30 individual clams were placed in each cage. The cages are being cleaned and checked thrice a year. In 2013, the second design of the cage is produced. It has a larger dimensions of 1.5m x 1.5m x 0.3m. The juveniles are transferred in the new cage with their attached corals. One cage can fit for a maximum of 10 giant clams. 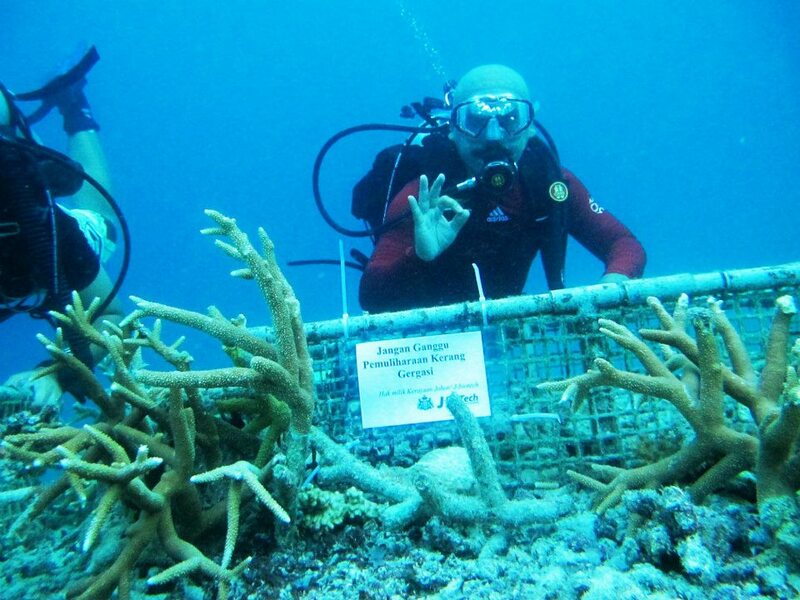 The cage is then located in shallow waters about 10 meters below sea level where enough sunlight can penetrate into the water, to ensure the zooxanthellae can live and became a feed for the clam. In 2014, the third design of the cage is produced with dimensions of 1.5m x 1.5m x 0.5m. Cages were achored tightly to ensure the cage does not roll with the current. By 2016, the giant clams has reached in average of 60 - 70 cm in length, that it is unsuitable to use cage. The clams are then taken out from the cage and located back with natural corals. The current state of this project shows some signs of improvements, with significant growth from the juveniles and has matured and ready to breed. The giant clam, Tridacna gigas conservation project is linked to multiple support from both international and local agencies. With the support of Johor State Government through J-Biotech, Universiti Science Malaysia, Department of Marine Park Malaysia, Johor National Park Corporation and GEF-SGP Malaysia, this collective effort is a promising to a better collaborations in future.